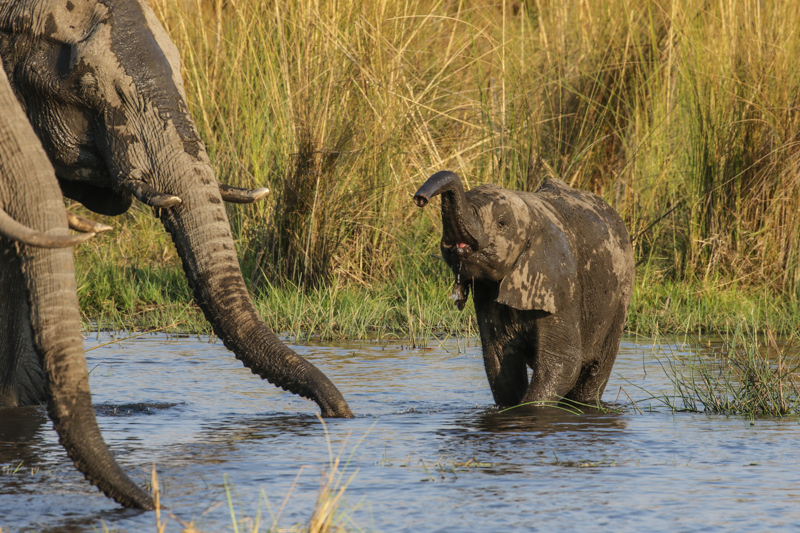 For my second African safari, I wanted to visit the Okavango Delta and neighboring parts of northern Botswana. 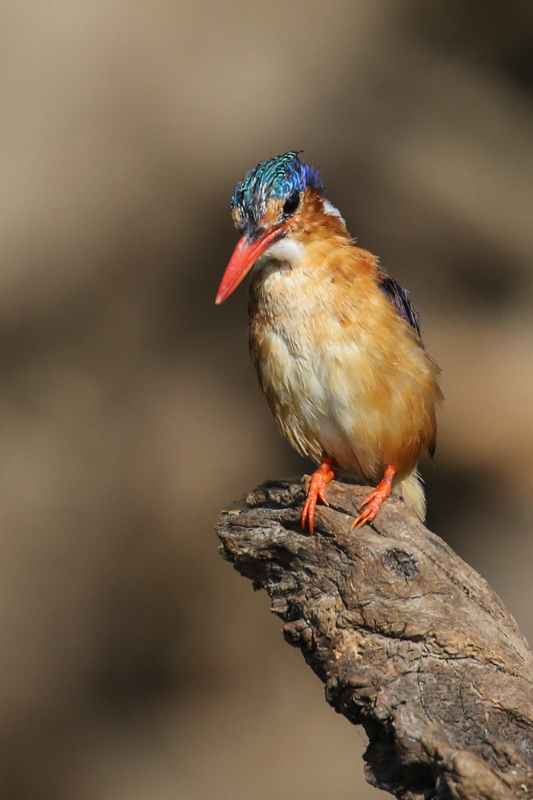 In addition to the predator and other big wildlife that we all so enjoy seeing and photographing, I particularly wanted to visit areas that would allow me to photograph some of the beautiful bird species of Africa. 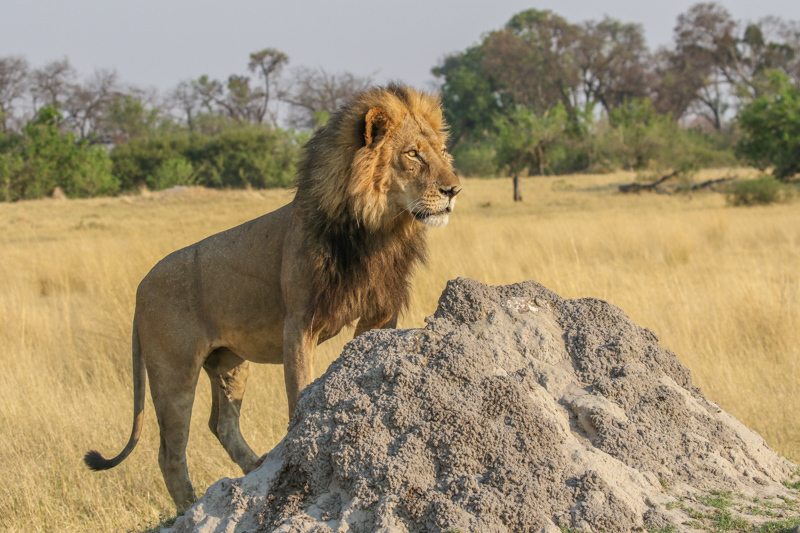 Although I travelled solo, with no photographic or other accompaniment, I had a rich experience in the itinerary C4 Photo Safaris put together for me. I am very thankful to Shem and Kyle for their recommendations and input and to Angelica for the arrangements she made. Everything ran smooth as clockwork. I spent time at Splash Camp in the Kwando region of the Okavango Delta and at Lebala Camp in the more northern Linyanti Marshes. Both place offered a rich interplay of dry and wet topography. As my October visit was in the driest month of the year, animals of all types sought out the various water channels, ponds and marshy wetlands, offering a rich variety of photographic opportunities. 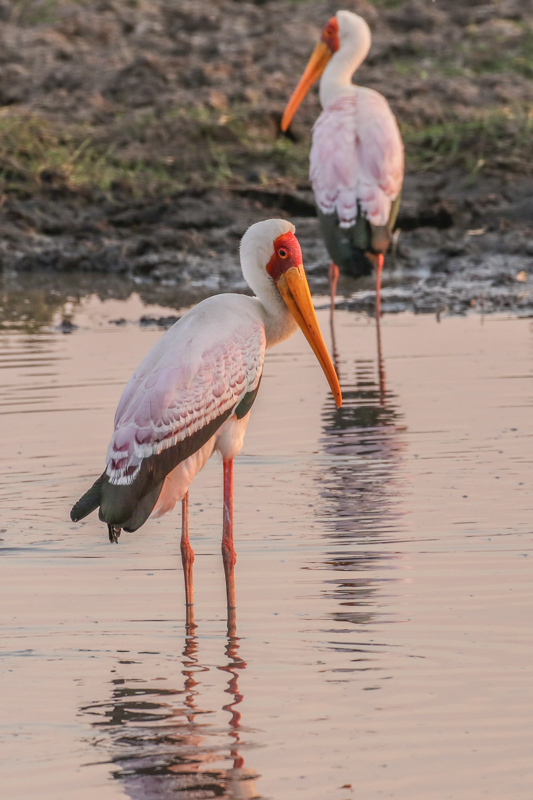 For a different photographic experience, I added a safari by houseboat along the Chobe River which would allow me to photograph animals from a different perspective – I was in the water and they were on land, approaching me when they wanted to drink or bathe. The four nights I spent on the Pangolin Voyager, docked at various locations along the Chobe River, provided many photographic opportunities that were unique and varied. The birdlife was rich with heronries (rookeries) containing seemingly endless numbers of stork colonies, the size of elephants and buffalo herds were in the hundreds, and our interactions with hippos were about as close as you would want them to get. 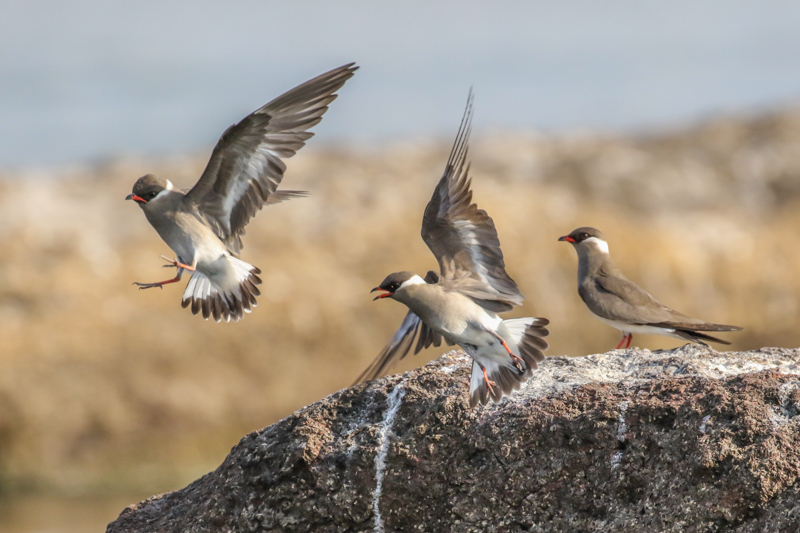 A trio of Rock Pratincole, an intra-African migrant that comes to the Chobe and Zambezi rivers to breed. In Botswana, it is seen only along this stretch of the Chobe. 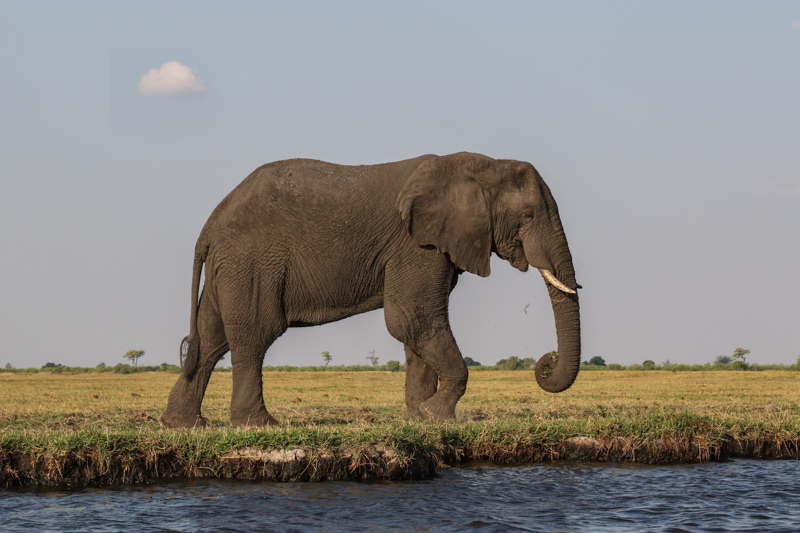 A large bull elephant grazes at the waterfront. 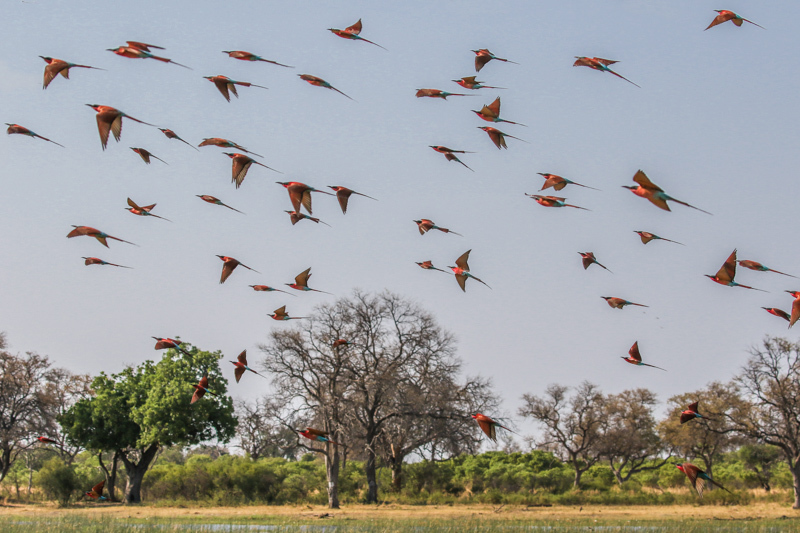 A flock of Southern Carmine Bee-eaters takes flight. 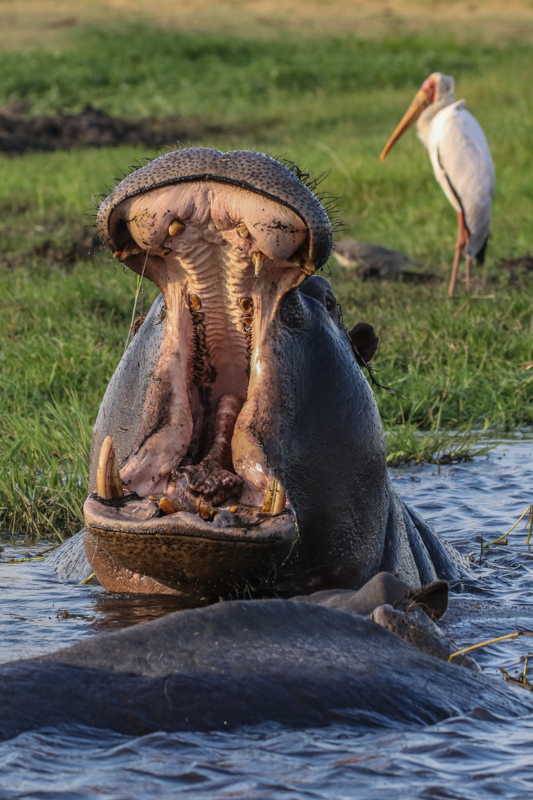 A big yawn from a hippopotamus. 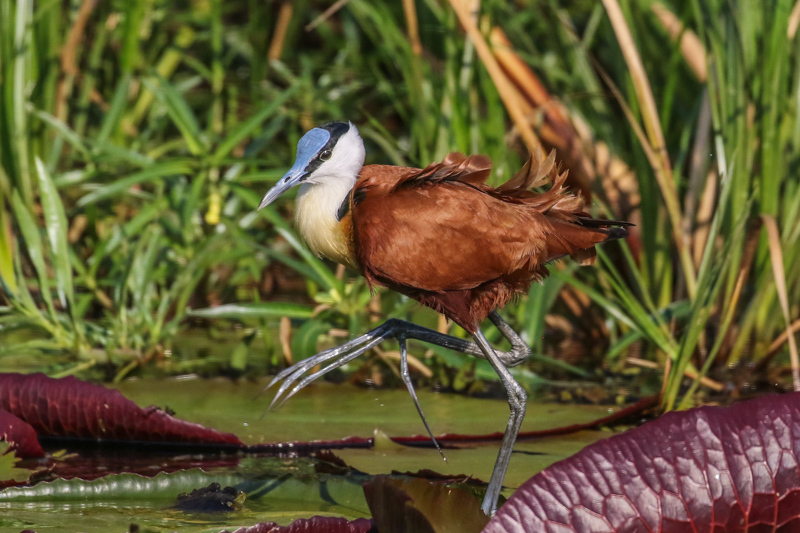 An African Jacana walking across the lily pads. A young elephant enjoys the water. 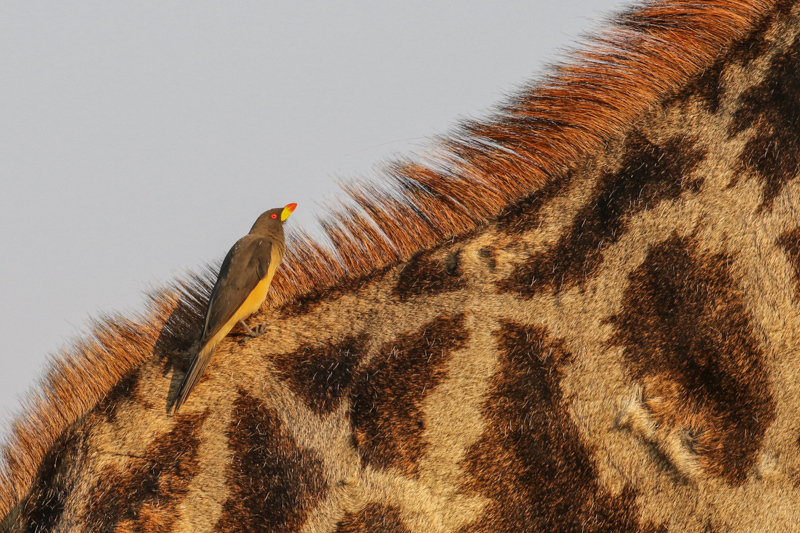 A yellow-billed Oxpecker ascending a giraffe’s neck. 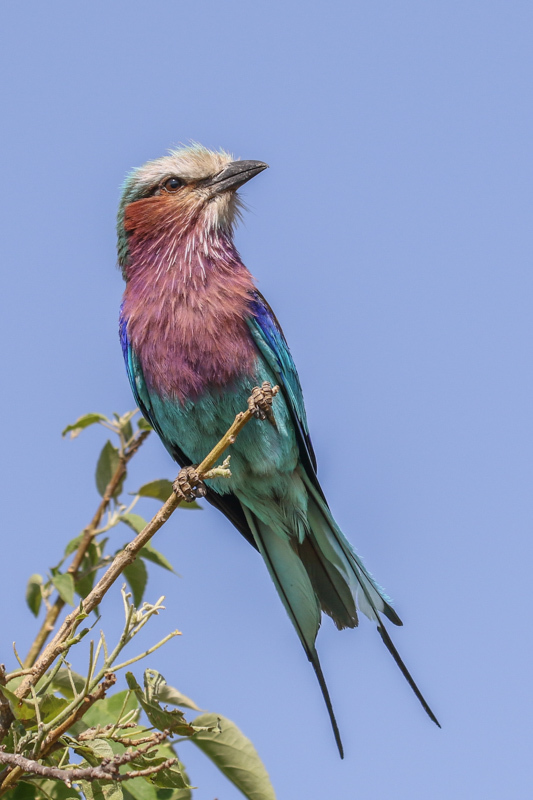 The ever stunning Lilac-breasted Roller. Yellow-billed Storks enjoy the last rays of light.